An insurance renewal is the standard length of time an insurance policy is in effect without the insurance company adjusting your rate. Of course, there are exceptions to every rule, and it is possible for your rate to change shortly after purchasing a new policy if you do not meet underwriting guidelines. But, once you are through the initial policy period your insurance rate should stay the same through each policy renewal unless you make a change. You will receive a declaration page along with other information explaining your policy. New proofs of insurance are usually enclosed with the renewal information. When Does an Insurance Policy Renew? The renewal date of your insurance policy is based on the date your policy took effect. So it could actually take place on any day of the year depending on when you originally started the policy. The other factor in determining your renewal date is the length of your policy period. Policies usually renew annually or semi-annually. Some auto policies are locked in for a full year. Homeowner's policies are always one year, and vehicle policies for motorcycles, boats, and RV's are often renewed annually. It is very common to have an auto policy renew every six months. Some motorcycle, boat, and RV policies also renew semi-annually. Renewal information is usually mailed or emailed to you 45 to 30 days in advance of your renewal. You will receive a declaration page along with other information explaining your policy. A new proof of insurance is usually enclosed with the declaration page. What Should I Do When My Insurance Renews? Your renewal is a good time to review your policy to verify discounts or make changes to coverage. It is a nice reminder because sometimes insurance is easy to forget if you haven’t had the need to use it recently. It is a good time to contact your insurance agent to review your policy. It is also important to continue making your payments. Making your payment notifies the insurance company you want to continue the policy. It is especially important to pay your renewal payment on time because some carriers do not allow any grace period on renewals. It is equally important to cancel your insurance policy if you do not want to continue because some companies do extend a grace period and may charge you for the grace period if you do not notify them of cancellation. Why Did My Insurance Renewal Price Go Up? It is possible for every person insured with a given carrier to have a rate increase. Insurance rates are governed by the states and increases are possible due to increased claim activity. 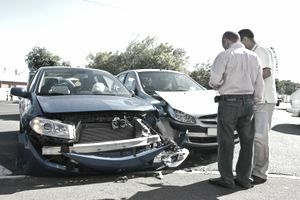 If an insurance carrier is losing money, even a good driver with no accidents or tickets can have their rate increased. Just keep in mind, it is still a lower rate than someone with those violations. It's also possible that increased driver risk can influence your rate. If you received a traffic violation or were involved in an at-fault accident, more than likely your insurance rates will be increased at your renewal. Due to increasing costs for the insurance industry, it’s best to buckle up and expect a rate increase. According to James Lynch, chief actuary of the Insurance Information Institute, “Even if you haven’t had any changes in your record, there’s a pretty good chance your premium is going to be higher at the next renewal.” Why is this happening? Though the number of accidents is on the decline in the last decade, these accidents are getting more brutal and deadly-- and thus coming with higher insurance payouts. According to the Insurance Research Council, while the number of bodily injury claims has fallen 14.5 percent in recent years, the average payout has risen a full 32 percent. Auto coverage is often changed between renewals, but it's different for motorcycles, RV's, and boats. Sometimes insurance carriers restrict changes on these policies to renewals only. Adding vehicles is always possible, but taking coverage on and off existing vehicles may not be. Check with your insurance carrier to see what is available in regards to changing coverage on your motorcycle, boat, or RV policy. If rates only change at renewal, you might be wondering why you are getting an additional $10 tacked onto your payment. Usually, if you see a mid-term rate change it is a fee. Slipping up and paying late one month on your insurance policy will result in a late fee. Late fees can range in price from $5 to $15. One good thing about late fees is it will go away next month so long as you pay on time. Insurance policy renewals are a standard part of insurance. All policies renew and insurance companies have the ability to recalculate your insurance rate. Use your next renewal as a reminder to review your policy and think about possible changes.